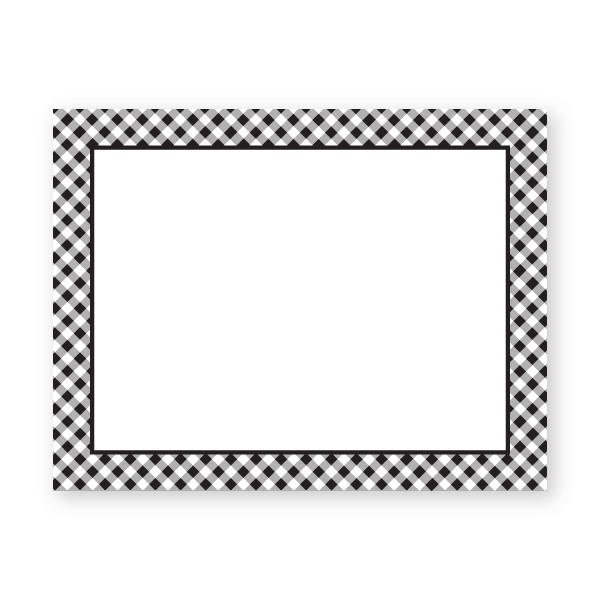 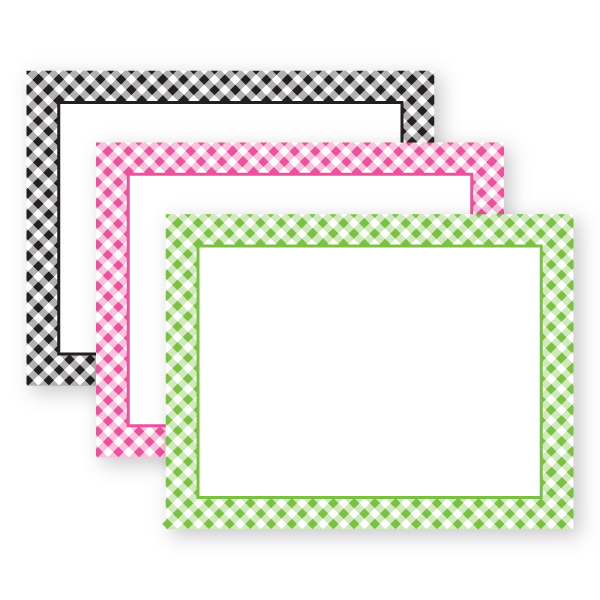 Gingham Border Flat Stationery. 5.5 x 4.25 and includes envelopes. 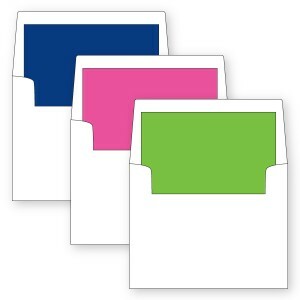 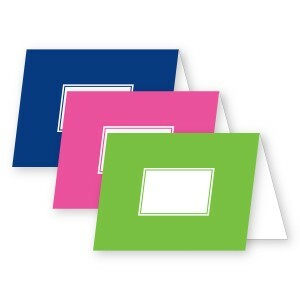 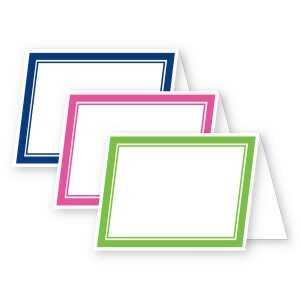 Available blank in a pack of (10) cards/envelopes or Bulk (100) cards/envelopes.